The Civilian Conservation Corps (CCC) was a public work relief program that operated from 1933 to 1942. The CCC men of Camp Nelson Dewey were dismissed in 1937. Camp Nelson Dewey was located on the land of the Outdoor Group Campground of Wyalusing State Park. The Works Progress Administration (WPA) was the largest and most ambitious of Roosevelt’s New Deal. It employed millions of unskilled workers to carry out public works projects. Between 1935 and 1943, the WPA provided almost eight million jobs. 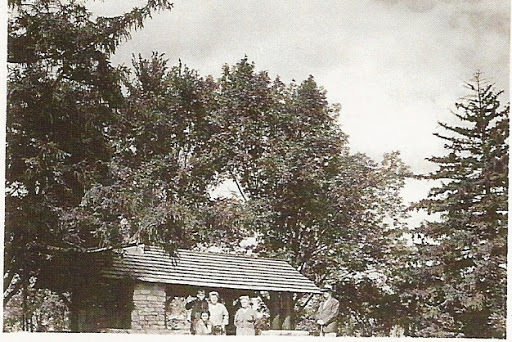 In the spring of 1938 WPA workers arrived at Nelson Dewey State Park (Wyalusing State Park). The workers did not stay at the park in the “old” CCC barracks that were still at the park. Instead, they went home each night. The Camp Nelson Dewey barracks remained in the park until 1942. The WPA workers did not stop at building stone structures still found in Wyalusing State Park. The workers built a road into what is now Wisconsin Ridge Campground. They also constructed a road to the far south end of the park, Henegar Point. The road was built on a CCC created trail. Today, the road is called Cathedral Tree Drive. The WPA also created the tennis courts in 1939. A small hill was dug out in order to create the tennis courts. The dugout dirt was used to create the Point Lookout parking lot. Without the CCC and the WPA, many of the buildings and roads might not exist today at Wyalusing State Park.